President Rodrigo Duterte on Thursday ordered the closure of “all online” gaming firms. “I am ordering the closure of all online gaming (firms). Lahat. Walang silbi ito (All of them. They have no use),” Duterte said during his speech after the ceremonial signing of the P3.35 trillion national budget. The President said the government has no mechanism to regulate the online gambling industry in the country. “’Yung online sa Pilipinas; pero yung betting outside, wala tayong mechanism (It’s online in the Philippines; but the betting outside, we have no mechanism against it),” he said. 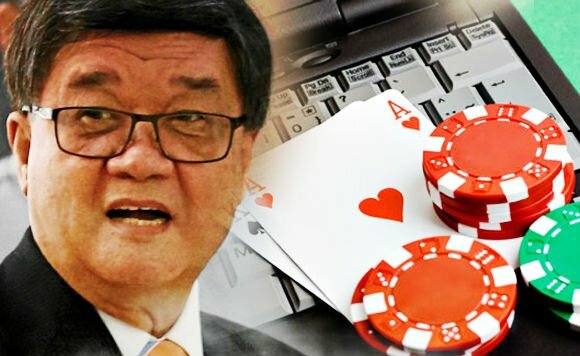 Sought for clarification, Justice Secretary Vitaliano Aguirre II said the closure order was meant for all online gambling firms. Duterte earlier ordered the arrest of gaming tycoon Jack Lam for charges of bribery and economic sabotage. Lam allegedly operated an online gaming facility at Fontana Leisure Parks and Casino in Clark, Pampanga, where 1,316 illegal Chinese workers were arrested in November.